Innovative Bold Styling: Dress up your factory plastic door pin bezel with UPR's Billet Door Pin Bezel Kit to make your door look brand new and trick. Looks great with your stock door pins or even better with a pair of our Billet Aluminum Door Pins. 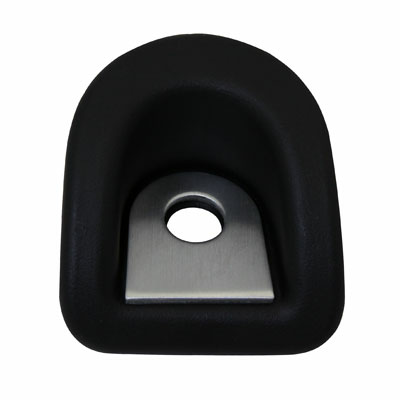 Machined to give a clean look to your interior and knurled for a great fit and prevent them from coming loose. Quality Construction: Crafted to fit into the factory plastic door pin bezel while giving you the bold clean styling of our aftermarket Dress Ups for your American Muscle Car. Installs in 5 minutes. Fits these Vehicles: 2005 2006 2007 2008 2009 2010 2011 2012 2013 2014 GT Mustang Boss 302 4.6L 5.0L Coyote Shelby Roush Saleen & Steeda Vehicles. Made in the USA!